The holiday cottage of "Wigeon Cottage" can be found in Thornham in Norfolk. This cottage sleeps 6 people, and has 3 bedrooms. The cottage has the following bedrooms: Master Bedroom This a really pretty room with vaulted ceiling, beautiful chandelier lighting, tongue and groove panelled walls and twin aspect with lovely views stretching from the village, across the marshes to the coal barn; Double Bedroom Another pretty double bedroom which overlooks the rear garden and again has a vaulted ceiling and tongue and groove panelling; Twin Bedroom This again has a vaulted ceiling and tongue and groove panelling but has twin beds, a chest of drawers and hanging space. It's worth looking at Wigeon Cottage if you're after a family holiday cottage. These are the reviews for Wigeon Cottage. There are 49 reviews. Another lovely stay at Wigeon, we love it so much - the scenery, the walks, the food and of course the house! It’s so easy, we unwind as soon as we unpack. We are always invaded by our children (almost in their 40’s!) but they love coming here as well! Thank you. Amazing Cottage. We had an amazing stay in Wigeon cottage. The cottage was plenty big enough to accommodate 4 adults and 2 dogs, the enclosed garden was ideal for the dogs and a great place to sit in the sun after a day out walking. The cottage was clean and decorated lovely throughout, nice and bright and the sun streamed through the windows morning and evening. Its location opposite Thornham Marsh is amazing, we saw Barn Owls and Marsh Harriers hunting from the cottage windows. Perfect for walks straight from the front door. Definitely recommend and hope to visit again. Lovely cottage in an even lovelier setting! Nearly brand new with every creature comfort. Well fitted kitchen with very appliance you could ask for, and all functioning. Beds extremely comfortable and an absolutely cracking shower in the en-suite. Private and extremely secure garden, an essential for our dog Henry, who thought the pigeons good sport. Lovely walk round the reed beds. The entrance to this is a lane on other side of the road just to right of property. Lovely views over the beds to the sea. Adequate footpath to next hamlet, just right for first walk of morning and last at night. Good area for bird spotting with seats at intervals. Restaurants in area that offer good food at reasonable prices. The Lifeboat in Thornham. The Lodge on outskirts of Old Hunstanton. Exceptionally good food here. Need to book at both. After a delayed start to our holiday due to the ‘beast from the East’ we made our way from Essex without a problem. Thanks you for the welcoming flowers and cake, we look forward to them each time we come! We are looking forward to our June visit, two weeks - lovely! This was our first stay in Wigeon Cottage, we have rented next-door Sea Holly cottage several times. They are both excellent with very little to choose between. We chose Wigeon this time because the garden is grassed not paved and I think cooler in hot weather , not that made much difference this time with the Beast from the East snapping at our tails . If I had to choose I would make Wigeon my cottage of choice in the future, don't really know why because they are almost identical, it might be that Wigeon has a smaller coffee table and dining table making the room feel less cluttered, On the down side it has a smaller TV, not important in the summer but out of season in a room of this size I think that a 40'' should be entry level; that's the moan over. The house is fantastic and very comfortable, with two large leather sofas a great modern kitchen and dining area. The three bedrooms and bathrooms are great,large en suite and family bathroom, can't really praise it enough. We have stayed in Sea Holly three times and Wigeon now once but have booked it again two weeks in June this year. We would have booked again for November but couldn't get in, they are very popular . A wonderful cottage and probably the best we have stayed in in Norfolk and we have been coming to the area for more than 25 years!! Just a beautiful property in a fantastic location. We had the best time celebrating my father's 80th at Wigeon Cottage. The location in Thornham is perfect, with views across the fields frequented by lots of birds and wildlife - we saw a Barn Owl and Muntjac deer amongst many others. The house is beautifully decorated and with the underfloor heating, we were nice and warm. Can't praise it highly enough. Despite the weathers best attempt to spoil our break, (cold, wet and windy!) we have had a fabulous time. It’s lovely to return to this cosy warm house after braving the elements. Many thanks for the cake, much appreciated And we hope to return very soon. One of the best! - We are one of the many guests who stayed at, and loved, the original Sea Holly bungalow so we expected Wigeon Cottage to be lovely and it was! The location is super. The new cottage is tasteful, cosy, elegant and very well equipped. Only problem is getting a booking! It's so popular that next year is already quite full. We didn't want to leave. I could move in permanently tomorrow! Expect to return soon - if there are any weeks available that is! What an amazing place! Thanks so much for letting us stay in your lovely house, so well thought out with some lovely touches to make our stay special. Our best stay in Norfolk yet! An amazing break. 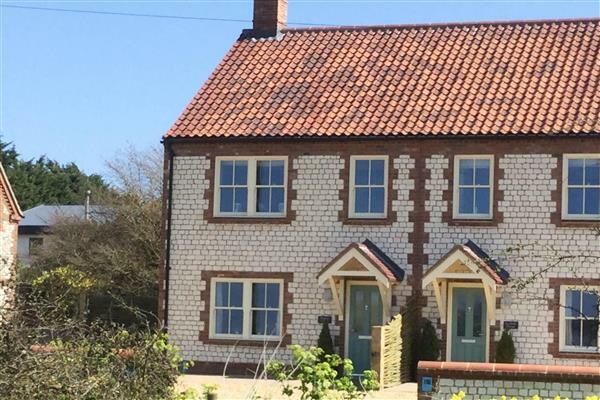 Wigeon cottage is in a perfect location for amazing beaches and pubs and we stayed during Norfolk Restaurant Week which topped the holiday off with lovely food at great prices. The cottage itself is beautifully presented and the owners have paid great attention to details so it has everything you would need for your holiday and more. We also got to meet the owner, Jenny as we were leaving - her and her black lab were both lovely. We've already booked to go again! Our fifth Norfolk house and the best! Thank you for a wonderful stay at Wigeon Cottage. An absolute pleasure to call it home for a week. The marsh walks were greatly appreciated by the dogs. Hopefully we will be back again next year, we will gaze across the water tonight with jealousy! Set in the perfect location for exploring the North Norfolk Coast. The cottage is very well equipped, exceptionally clean and dectorated beautifully. It is the perfect place to take your pups! The owner, Jenny was so friendly and helpful. Will definitely be returning! We have had a wonderful stay at Wigeon Cottage , it is a beautiful place to retreat to! We have loved the marsh walks with our dogs and thoroughly enjoyed watching the barn owl come out at dusk. We will be booking again for next year! Our first stay on Thornham and we had a brilliant week. Wigeon Cottage is the perfect spot, well equipped and well presented. Thank you very much, we will be back here again! We have stayed in Thornham many times over the years in houses both large and small but Wigeon Cottage is certainly the best! It is extremely well equipped and very homely. Thank you for a wonderful stay, we will be back! I have had a wonderful time celebrating my 70th Birthday with all my family which was made all the better by staying in such beautiful cottages a superb location, thank you so much! Everything excellent! We have stayed in many self catering cottages all over the country and I can safely say Wigeon cottage is the best!! Thank you to Jenny for making such a wonderful home! What can we say? amazing house in wonderful location, we have had a wonderful week and don't want to go home! We will definitely book again for next year. What a wonderful week! Hot, hot weather, lovely walks and visited all our local favourite haunts. It was lovely to stay at Wigeon Cottage having had previous holidays at the old 'Sea Holly'. Beautifully thought out and equipped Cottage, thank you. Wigeon is a wonderful cottage. We holiday in Norfolk every year and this is our first time in Wigeon Cottage but we will definitely be back, it is our new favourite place! The location is superb for walks with the children and Douglas the labrador. We were blessed with warm weather and so enjoyed the area in all its glory. Thornham, Holkham and Brancaster are our preferred beaches,empty, vast and dog friendly. The playing field next tot he deli was well used for football practice and then coffee and cake at the Deli. Eric's fish & Chip's at Drove Orchard is the best fish and chips. We will really miss the peace and views from this lovely place but batteries are fully re-charged. The cottage was so cosy and had everything we needed and more. Thank you! Perfect in every way. Words can not explain! What a wonderful week we have all had during our stay in Thornham. Wigeon Cottage is perfect, a great location for walks right from the doorstep, we have walked for miles! We love returning to North Norfolk and very much hope we have the pleasure of returning to Wigeon Cottage soon. A wonderful stay in this fabulous cottage, a great location for walking to the beach, shops and pubs. Don't change a thing, we have enjoyed being here immensely! We have had the most wonderful stay in this beautiful home. We came with my parents and two girls aged 4 and 7 who loved sharing the twin room. Most days have been spent exploring the beaches close by, thank you for such a wonderful time! We have had a great long weekend in Thornham. The accommodation was superb and in a fantastic location , we wish we could have stayed longer. What a fantastic weekend we have had in such a wonderful place to celebrate our friend's special birthday. Lovely company, great food and walks particularly given the weather but we were very smug by the wood burner. A real treat all round, looking forward to our next visit already! We have had the most perfect break here. The weather has been fairly kind to us however always a wonderful warm, cosy home to come back to which was well stocked with everything one could need. We stayed at the cottage during a very wet and cold weekend and the cottage was a lovely warm, welcoming place to come back to . The cottage is beautiful inside and out , well equipped and clean. Most welcome were the log burner and the underfloor heating which meant we could soon warm up. Plenty of hot water for showers and a washing machine/tumble dryer. The location is excellent and, as other visitors have mentioned, the village has excellent pubs for evening meals within walking distance. Great views from the cottage front and plenty of space to park off the road. The phone signal was not good ( we found it to be unreliable in many areas) but the wifi was excellent . Would like to visit again in summer to enjoy the garden. Highly recommended. A wonderful week in your cottages having stayed at Sea Holly over the summer! We explored so much more this week both on foot and by bike and found some new favourite walks and beaches! Can't wait to come back again in the New Year or at Easter as holidays allow...... we look forward to returning soon! A lovely family week away with our two daughters, grandson and the family dog. Fabulous cottage in a wonderful location with fantastic views. Thank you for creating such a wonderful house! Extremely Satisfied Guests - Barry and Ursula from Suffolk, If you are looking for a peaceful, comfortable stay in a very clean and well appointed cottage then look no further. This cottage has been beautifully finished with a great deal of thought, care and attention. You will want for nothing. Situated in a small village with 3 very good hostelries, a renowned Deli and a small restaurant and Fish and Chip emporium, this cottage, set well away from the main road, looks out over the marshes and is only a few minutes walk from the beach. 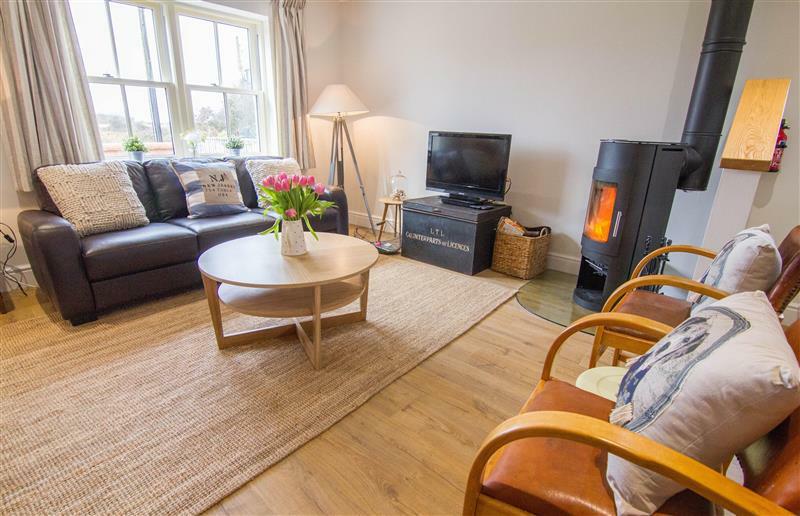 Two supermarkets are only 7-8 minutes drive away in Hunstanton and the information in the cottage provided by the owner will show that there are many places to visit nearby to enhance your stay. We will return. Thank you for a lively stay, cottage perfect! We live Brancaster beach, Old Hunstanton and the lovely walks around Thornham. A truly wonderful stay! Cottage was well equipped and comfortable, had everything you could possibly need for a great week away. Lovely walks from the door, three great pubs/restaurants all within wandering distance as well as deli and Drove farm shops, just round the corner. Thank you for yet another relaxing break in Thornham. Another lovely week in Thornham. Cottage fabulous - so cosy to come back to after walking the coastal paths and pubs a welcome site too! Thank you for a lovely stay and welcoming cakes and flowers on arrival. Thank you for a lovely stay, cottage perfect! We love Brancaster beach, Old Hunstanton and the lovely walks around Thornham. A truly wonderful stay! Our 'normal' house in Thornham was no longer available so with apprehension we had to try somewhere 'new' and we were delighted we did! We have all loved Wigeon Cottage, fantastically appointed, great location and has everything we wanted with the view over the marshes a bonus! Things always change a little and this year the Chequers re-done was a good surprise and the sports facilities at the playing field get better for our children every year. Thanks for letting us stay in your lovely cottage. Gorgeous cottage in a wonderfully peaceful setting! This is our third holiday in North Norfolk and our first stay in Thornham. Being able to access the coastal path at such close proximity to the cottage is a real bonus, we have walked to Hunstanton and Brancaster. All in all a great week made extra special by staying in such a beautiful and thoughtfully equipped cottage, thank you! A lovely cottage, very cosy, welcoming and comfortable. The cottage was well equipped and we all had a relaxing stay. We loved the location, looking out across the fields, the birds and watching the cows! Thornham is a lovely village, we had good food at all three pubs. We would love to come back soon, thank you! What an absolutely perfect house! We have stayed in lots of other places over the last few years but none of these are as comfortable, welcoming, stylish and well equipped as Wigeon. Thank you so much for thinking of everything! The weather has been pretty grey (!) but we can't wait to come back and see it in sunshine! If you're looking for other cottages around Wigeon Cottage, we've got some cottages below which may take your liking. There are 198 cottages within 5 miles of Wigeon Cottage - and they have reviews too.